Atmospheric scientist is the only elected Fellow from Texas in 2015. 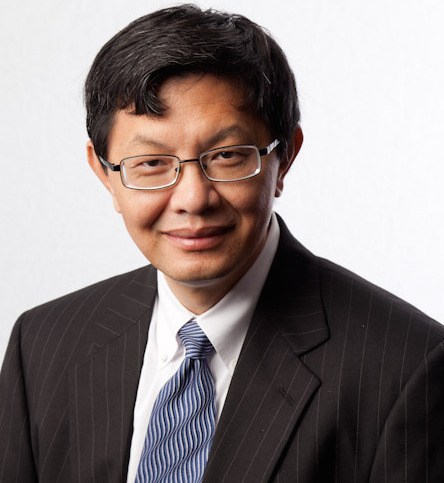 Dr. Ping Yang, professor and department head in Atmospheric Sciences, has been named a 2015 Fellow of the American Geophysical Union (AGU), the only honoree from Texas in this year’s class of 60 newly elected members. AGU Fellows are elected by their peers based on their exceptional contributions to Earth and space sciences. This honor is bestowed on only 0.1 percent of the membership in any given year. With more than 62,000 members, the AGU is the world’s largest international professional society for Earth and atmospheric scientists. The Class of 2015 Fellows will be recognized at the honors ceremony during the AGU Fall Meeting, Dec. 16, in San Francisco, Calif.
Dr. Yang received the AGU Ascent Award in 2013, given to an atmospheric or climate scientist for exceptional mid-career achievements. He is also a Fellow of the American Meteorological Society and the Optical Society of America. His research focuses on electromagnetic scattering simulations involving atmospheric and oceanic particles, radiative transfer in the atmosphere, and remote sensing of ice-cloud properties.